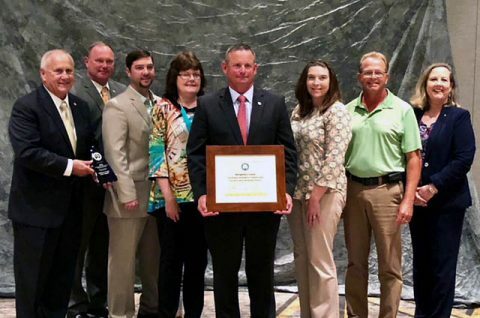 Montgomery County, TN — On Monday, July 9th 2018, Montgomery County was presented with the Governor’s Environmental Stewardship Award (GESA) for their excellence in energy and renewable resources. Award winners were recognized at the awards ceremony for their achievements and positive impact on the state’s natural resources. Montgomery County was recognized for their energy upgrades throughout County facilities. (L to R) Tennessee Deputy Governor Jim Henry, County Chief of Staff Jeff Truitt, County Engineer Nick Powell, County Administrative Assistant Emily Mathews, Montgomery County Mayor Jim Durrett, CMC Green Certification Manager Carlye Sommers, County Facilities Manager Kenneth Gentry and TDEC Commissioner Shari Meghreblian. Tampa, FL – Tennessee Gas Prices increased 1.5 cents during the past week. So far, motorists have found the most expensive summer gas prices in four years. Since June 1st, Tennessee gas prices averaged $2.64 per gallon – an increase of nearly 60 cents compared to the average price last summer. However, current pump prices remain 12 cents below this year’s high, set during Memorial Day weekend. Price at the pump continues to fall. Clarksville, TN – On Monday, July 9th, 2018 around 1:49pm, Clarksville Police report a man walked into the U.S. Bank at 3301 Fort Campbell Boulevard handed the teller a note demanding money. 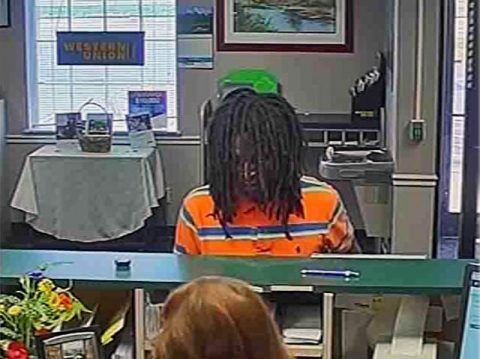 The teller gave an undisclosed amount of money to the man and he fled from the bank. He did not display a weapon and no one was harmed. 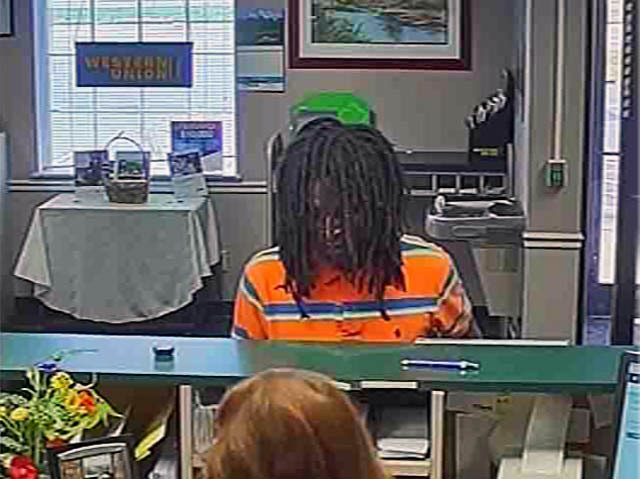 The person in this photo is wanted by Clarksville Police for the robbery of the U.S. Bank at 3301 Fort Campbell Boulevard. 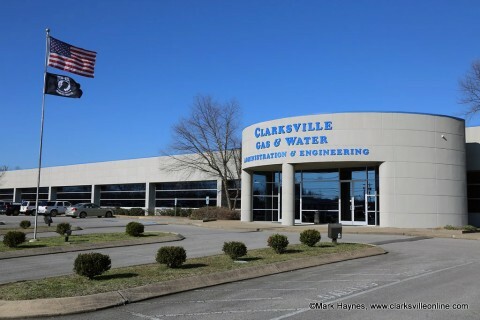 Clarksville, TN – Clarksville Gas and Water is repairing a water main leak on Center Road causing low water pressure for area residents. The road will be passable during the work. The water main repair is anticipated to be finished and water pressure fully restored by approximately 2:30pm. Clarksville, TN – Austin Peay State University’s (APSU) athletics department announced Monday, July 8th, 2018 that it will conduct a national search for its head softball coaching position. The search begins after Rodney DeLong departed June 13th to accept a similar position at North Texas and assistant coaches Dillon Bryant and Jamie Allred departed to join DeLong at North Texas. 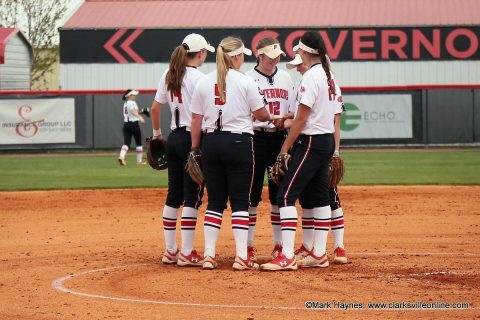 Austin Peay State University begins the search for a new head coach for the Softball program. 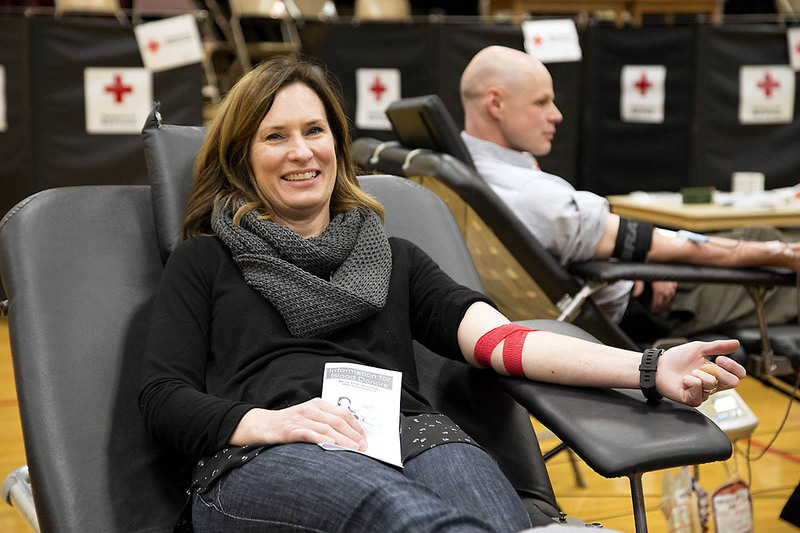 Nashville, TN -An emergency blood shortage is prompting the American Red Cross to issue an urgent call for eligible donors of all blood types – especially type O – to give now and help save lives. The Red Cross escalated its call for blood and platelet donors after a difficult Independence Day week for donations. More than 550 fewer blood drives were organized by businesses and other community groups last week than during a typical week as individuals across the country celebrated the holiday and enjoyed summer activities. 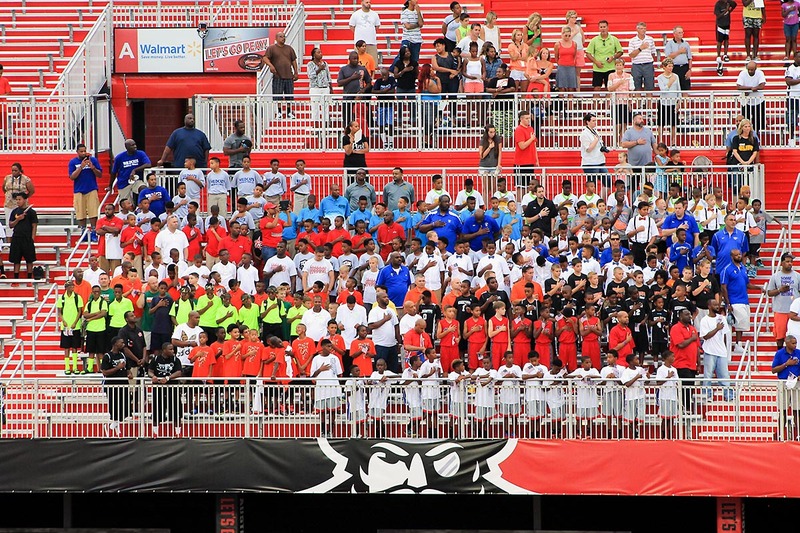 Clarksville, TN – Once again, Austin Peay State University (APSU) is the cornerstone of the City of Clarksville hosting the current Amateur Athletic Union’s Fourth-Grade National Championships and the 10-and-under DI & DII National Championships that are going on this week. Over 50 AAU teams and 3,000 overall visitors will spend the week in Clarksville accounting for around $2.5 million for the local economy in hotel rooms, food, gas, shopping, ect., while also giving the city a chance to showcase its other venues and actives while they are here. Hundreds of basketball players pack APSU’s Fortera Stadium in Clarksville during the AAU Boys National Basketball Championship Opening Ceremonies. Laurel, MD – The launch of NASA’s Parker Solar Probe, the mission that will get closer to the Sun than any human-made object has ever gone, is quickly approaching, and on June 27th, 2018, Parker Solar Probe’s heat shield — called the Thermal Protection System, or TPS — was installed on the spacecraft. A mission 60 years in the making, Parker Solar Probe will make a historic journey to the Sun’s corona, a region of the solar atmosphere. 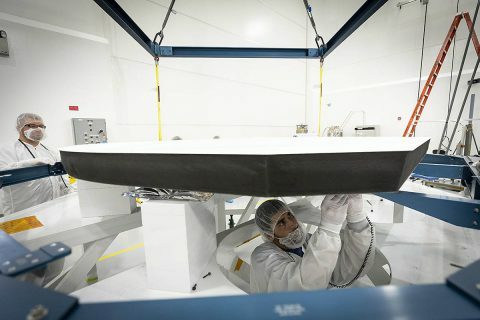 With the help of its revolutionary heat shield, now permanently attached to the spacecraft in preparation for its August 2018 launch, the spacecraft’s orbit will carry it to within 4 million miles of the Sun’s fiercely hot surface, where it will collect unprecedented data about the inner workings of the corona.